vitamins to the pigeon are essential for normal metabolism and health. The vitamins necessary for the performing pigeon are divided into six groups (A, B, C, D, E and K). Within these six main groups are several different sub-types. Each group of vitamins has its own set of functions for the pigeon and when severely deficient in the diet, display their own set of characteristic deficiency symptoms. The effect on metabolism is proportional to the level of deficiency so that when deficiency is mild, the symptoms are vague and non-specific, such as poor performance or compromised health. Vitamins are generally not made in the pigeon’s body in sufficient amounts to meet requirements and so must be taken in as a dietary source. The six groups of vitamins are divided into two basic types. The water-soluble vitamins (B and C) are not stored in the body of the pigeon and so any deficiency in these tends quickly to have an effect. The fat-soluble vitamins (A, D, E and K) are well stored in the pigeon’s liver and so daily intake is less critical. The only way to attain real longevity in the sport of pigeon racing is to breed your own champions.By mastering the practice of breeding, you’ll have the ability to control quality, quantity, and most importantly, performance. Whether you want to establish a solid reputation as a top breeder or you are looking to sell your pigeons and generate huge profits, you need to know all the facts. 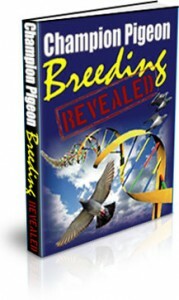 Champion Pigeon Breeding Revealed takes you through a straightforward, outlined explanation of everything you need to launch your winning team. No more guessing or trial and error. Just powerful methods that are designed to unleash the champions in your lines and set them on a course to non-stop success! 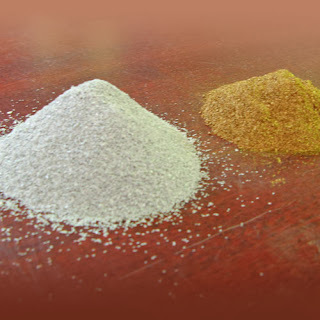 is necessary for healthy skin and mucus membranes, ie the lining of the mouth, sinus and cloaca, etc. is actually a large group of 12 or more different compounds, eg thiamine (B1), riboflavin (B2), niacin (B3), choline (B4), pantothenic acid (B5), pyridoxine (B6), etc. These vitamins perform many vital functions for the pigeon. Being water-soluble, deficiency quickly develops if the birds are not eating. is a metabolic regulator. In most species of seed-eating birds, including pigeons, vitamin C is synthesised in the liver and there is no advantage in supplementation unless the bird becomes debilitated and is no longer able to make enough vitamin C, especially if the liver is damaged. is necessary for the absorption of calcium from the bowel into the body the pigeon. Birds can make their own vitamin C if they have access to light. regulates many of the normal metabolic processes within the cell. is necessary for blood coagulation. These vitamins are found in green plants and can be produced by the normal bacteria in the pigeon’s bowel. It is in fact quite difficult to produce a vitamin K deficiency unless antibiotics have been overused and have killed all of the bacteria in the bowel or birds are prevented from eating their own droppings or probiotics are not used.